Tapered columns frame this country porch and a front-facing dormer accents the roof. The kitchen is the center of this design and overlooks the dining room. The great room is cozy with a fireplace and coffered ceiling and opens to the rear porch. 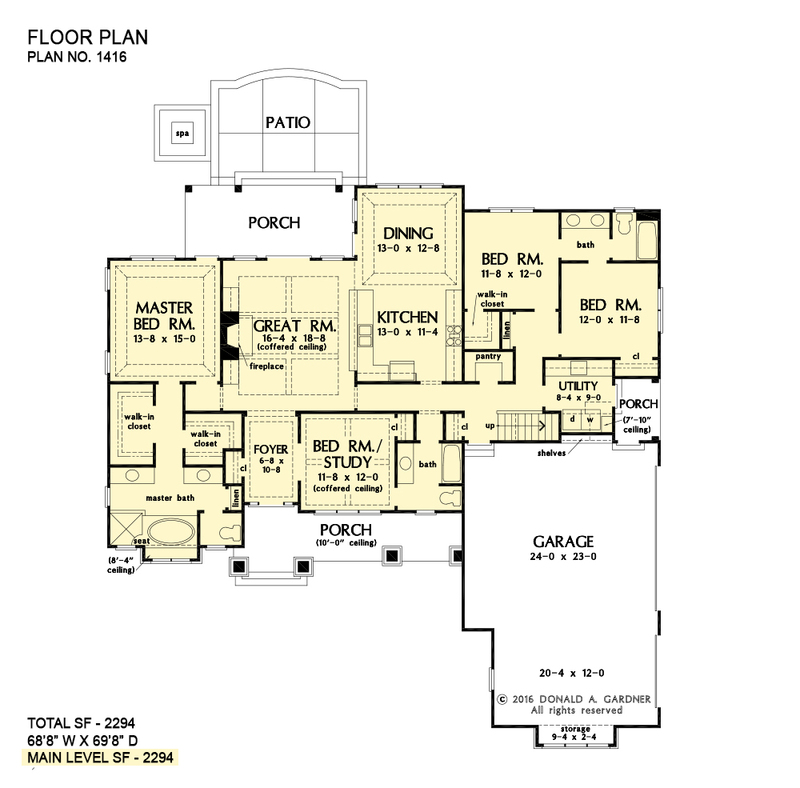 Positioned for privacy, the master suite is located away from high traffic areas. A three-car garage and large utility room appeal to modern homeowners. 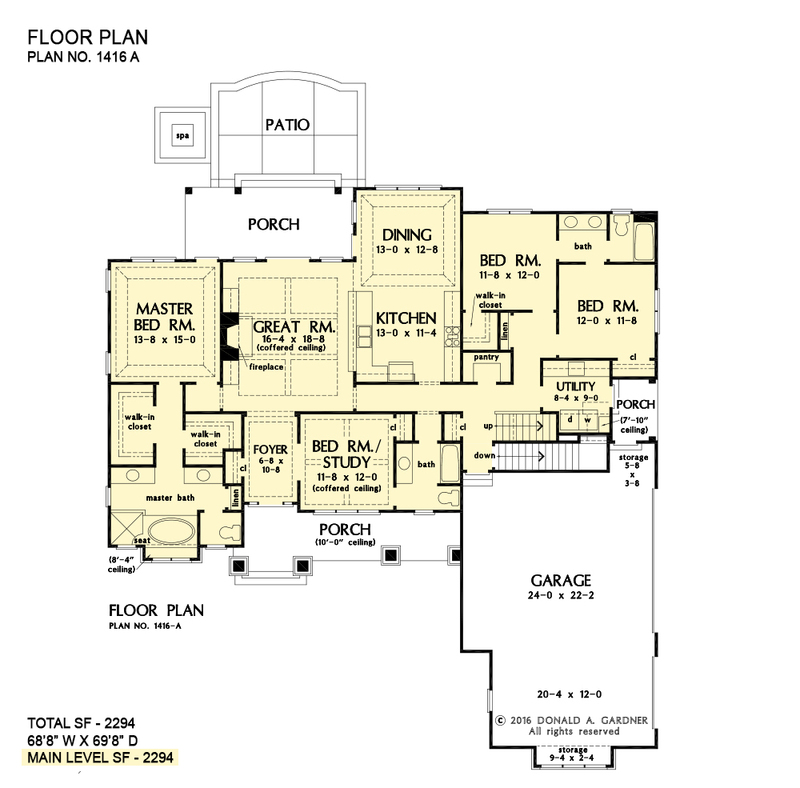 1st Floor: 2294 Sq. Ft. 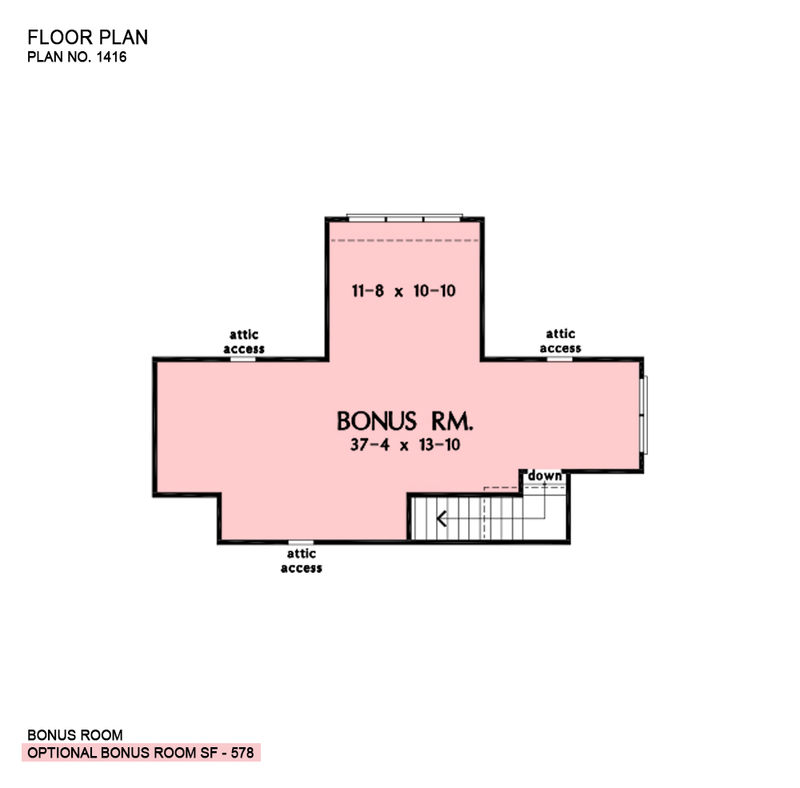 Bonus Room: 578 Sq. Ft.
Porch - Front: 187 Sq. Ft.
Porch - Right: 43 Sq. Ft.
House Dimensions: 68' 8" x 69' 8"
Foyer (Tray): 6' 8" x 10' 8" x 10' 0"
Great Room (Coffered): 16' 4" x 18' 8" x 10' 0"
Bedroom #4 (Flat): 12' 0" x 11' 8" x 9' 0"
Utility Room (Clipped): 8' 4" x 9' 0" x 9' 0"
Bonus Room (Clipped): 37' 4" x 13' 10" x 8' 0"
Bedroom / Study (Coffered): 11' 8" x 12' 0" x 10' 0"
Porch - Front (Flat): 28' 4" x 6' 0" x 10' 0"
Porch - Rear (Flat): 21' 0" x 9' 0" x 9' 0"
Porch - Right (Flat): 5' 8" x 7' 8" x 9' 0"
Deck / Patio (None): 19' 4" x 13' 0" x 0' 0"